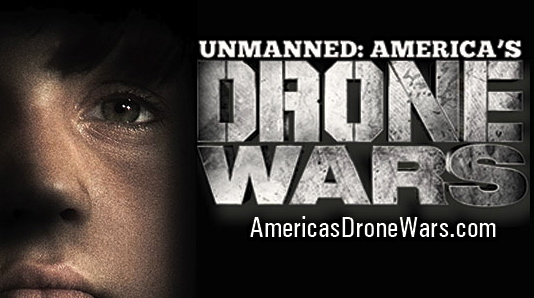 UNMANNED: America’s Drone Wars – Fundraiser for War Resisters Support Campaign? In Unmanned: America’s Drone Wars, director Robert Greenwald investigates the impact of U.S. drone strikes at home and abroad through more than 70 separate interviews, including a former American drone operator who shares what he has witnessed in his own words, Pakistani families mourning loved ones and seeking legal redress, investigative journalists pursuing the truth, and top military officials warning against blowback from the loss of innocent life. RUSSELL BROWN has been active in nonviolent protest at Hancock Field Air National Guard Base near Syracuse, N.Y, from where MQ9 Reaper drones are piloted. On April 28, 2013 he was arrested as he lay down to symbolize the death of drone victims. A U.S. marine from 1965-1967, Russell testified at his trial that his participation in senseless killing and brutality in Vietnam informed his understanding of the Drone War Program. Russell was acquitted in August 2014. Join us for this evening of food, film and discussion in support of U.S. war resisters seeking asylum in Canada.